Unique blend of high grade activated carbon and Ammonia-removing media. 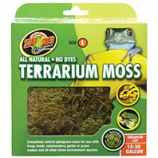 The carbon removes dissolved organic waste colors and odors. The ammonia-removing media removes toxic ammonia caused by fish waste and organic debris. 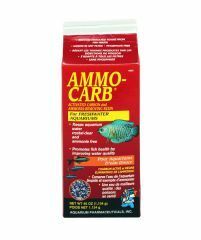 Aquarium Pharmaceuticals - Ammo-Carb - 37 oz product is categorised under Wholesale Aquarium Pharmaceuticals Inc products, Wholesale Aquarium Products, Wholesale Filtration, Wholesale Filters.